At Aspect Roofing, we have more than a decade of experience in the roofing industry. We can supply and install long run and metal tiles including metal shingles for new metal roofing projects in Auckland. 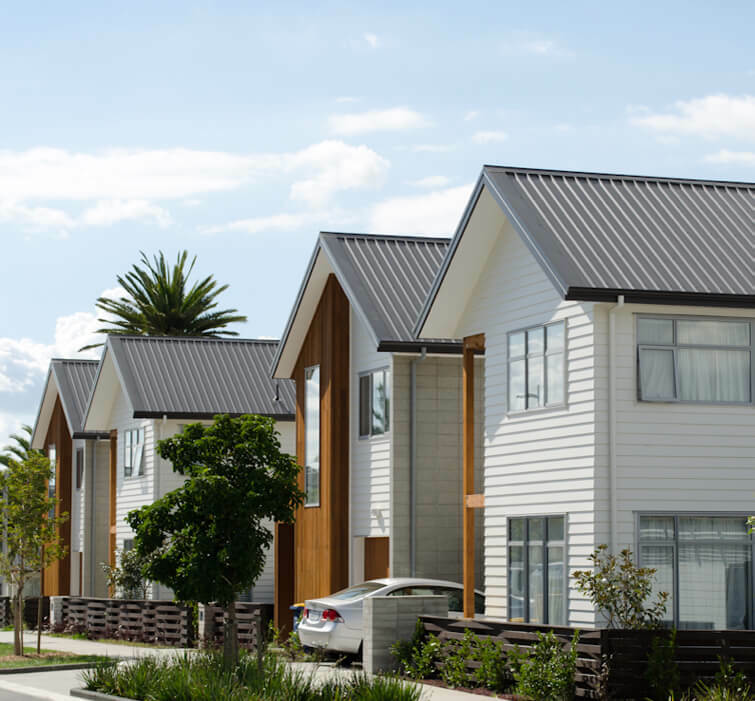 Aspect Roofing offers New Metal Roof Installations and roof replacements in the greater Auckland area. Our team includes roofing consultants, quantity surveyors, project managers and roofing installers. We deliver a top quality, end to end service for your new roof or roof replacement. Our expert team will provide a competitive quote and all the technical advice and services you need at the planning stage. If you’re looking for top quality roofing for renovations, extensions or remodelling, we can help. Talk to us about our comprehensive product range for great exterior profile and colour options. Whether you’re building a new home or renovating, ask Aspect Roofing about your project. We’re happy to provide any services, expert technical guidance or support you need. For metal roofing in Auckland call us on 0800 ROOFTOP or 0800 766 3867 or Email Us. We have a large range of the latest metal tiles including metal shingles in a various selection of colours and styles. These very tough roofing options are long lasting and low maintenance. We offer top brand metal roofing solutions. The new generation of metal roofing offers an ultra-modern, high- value choice for residential buildings, with the latest materials and roof design choices. If you have any questions feel free to contact us or request a free quote.